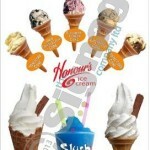 Honours Ice Cream vans for corporate hire London, Kent and all south east regions catered for. We are taking bookings for all corporate and company events that require complimentary ice creams for their clients or staff, fun days or corporate hospitality! We have a choice of non branded basic branding, part branded or full branded ice cream van ideal for company promotions, giveaways or advertising campaigns. 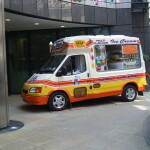 Corporate ice cream van hire with Honours Ice Cream vans available for all type of corporate hospitality and advertising around London, Kent and the south east. 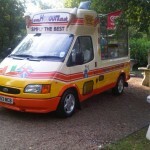 Ice cream vans for corporate hire in London, Essex, Sussex, Kent and surrounding areas. Our vans are kept in top condition and are often booked to take part in film shoots for commercials, drama, comedy sketches, music videos and a variety of other parts and scenes. We aim to provide you with the very best ice cream vans and a great selection of delicious ice creams, including Cotswold organic ingredient dairy ice cream, branded products plus a selection of tasty sorbets and scoop flavoured ice creams. This entry was posted in News on February 9, 2011 by Onur.